The history of the brewery dates back to Ertvelde 1784, someone named Jean Baptiste De Bruin founded "De Peer" and made brewing a leading business and marketed the beer in question. In 1919 he changed the name of the brewery to "Brasserie Bios", referring to the launch of the beer of the same name. Thanks to his past studies in biology, he had real knowledge in science. 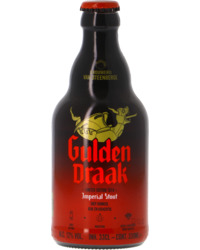 He launched several successful beers such as Bios Flemish Bourgogne Oud Bruin and Leutebock (Pilsner). He then expanded the brewery to increase production and move on to glass bottles. His talent as a businessman overtakes his passion for brewing; so he decided to partner up with a cooperative at the time when many breweries found themselves in difficulty because of the war. He was able to save money and trade with other brewers. His wife Margriet, mainly concerned with the education of their son Jozef Van Steenberge, born in 1914, could not accept it because it was the symbol of what his father had left him. After his father’s death in 1962, Jozef Van Steenberge took over the business. He directed the new brewery towards the production of high quality beer fermentation. The malt-house and hop production created by Jozef Schelfaut disappeared and were replaced by a raw materials purchasing policy based on inflexible specifications for quality loads. It was when he was 64 years old, that Jozef Van Steenberge began to only run the brewery, after a political career as mayor and senator as his father. It was then that the brewery started producing special beers of high fermentation with a second fermentation. 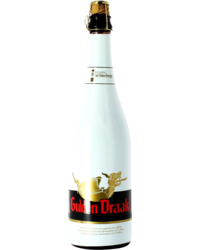 It was also in 1978 that the brewery acquired the recipe of the beer brewed by the Augustinian Fathers in their monastery in Ghent. 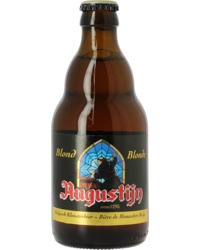 Then, in 1982 it developed in Ertvelde, the beer "Augustijn" and was put on the market. Success arrived immediately and to this day, it remains the jewel of the brewery. 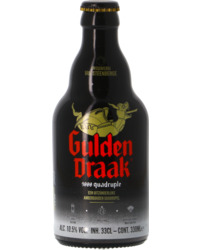 The other top-fermented beers Piraat and Gulden Draak complement the range already so rich. This proved to be a stroke of genius several years later. In the early 80s, the market for special beers with a high alcohol percentage was fairly limited. Since 2000, we can distinguish a clear trend in the beer industry worldwide: the demand for pils beer reduced year after year for the benefit of tasting beers rich in taste and flavour. Jozef Van Steenberge had foreseen it in one way or another; focusing on these beers, the brewery was able to survive and develop, and was ready for future generations to take over. 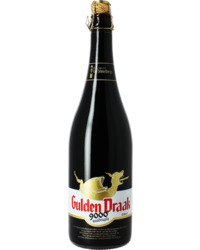 In 1990, Paul Van Steenberge, Josef’s son, took over the management of the brewery. He made significant investments to modernize and computerize his brewery. The saturation of the domestic market had provided a significant boost exploration to find new markets abroad. Eight years later, Jef Versele, Paul Van Steenberge’s nephew (the family’s 7th generation) lent a hand to the family of brewers. 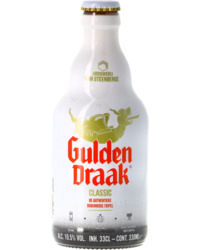 Through his efforts, the export of the attractive range of high fermentation beers increased by 60%; especially to countries like the United States, the Netherlands and Italy.